Yermolinsky, a U.S. Champion and 2600+ grandmaster, gives an insight about nearly every aspect of practical play. He is frank, and doesn't shy away from presenting his own failings and frustrations. The core of the book is a thoroughly annotated collection of Yermolinsky's own games (93 of them, including fragments). Practical advice about how to approach a tremendous variety of positions and tons of interesting comments and original ideas. Yermolinsky says, "we do not practice a 'quick fix approach' that is popularized by many teaching GMs," and students are urged to avoid "primitive set-ups designed to avoid theory." As for books since WWII, he says "guess what, a lot of them just repeat each other. 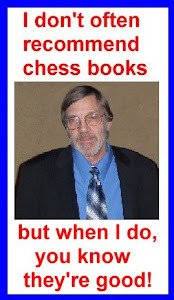 Same boring lists of positional elements, same 'tactics serve strategy' and 'attack only when prepared' hollow advice, same carefully selected games which are nothing but one-way beatings delivered by chess heavyweights to the tomato cans of amateur ranks." Also included is Yermolinsky's personal experiences with Soviet training and his gradual advance into the world's 2600+ elite. This book is primarily aimed at advanced players, but it could not fail to help those above 1600. 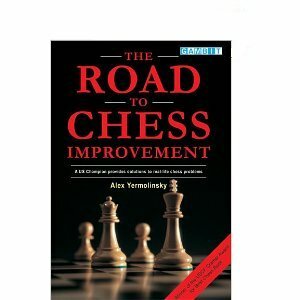 For anyone looking to improve and to understand modern chess, this book is a must have.